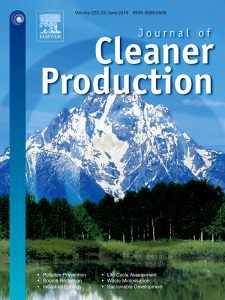 Along with colleagues Wenting Yang and Bo Fan, at Shanghai Jiao Tong University, I have a paper accepted at Journal of Cleaner Production. Illegal dumping is an increasingly costly problem with profoundly negative consequences for the livability and sustainability of our communities. The problem of illegal dumping is particularly acute in the developing world. While the literature is rich in descriptive studies on illegal dumping, few studies leverage large-scale spatial-temporal data through innovative analytical tools to study the actual dynamics of household illegal waste dumping. Our study aims to fill this gap by developing a multilevel theoretical model with which to illustrate the impact of illegal dumping. We explore the spatial-temporal distribution of illegal dumping cases using data mining. Next, we integrate datasets reflecting different levels into a hierarchical data structure organized by membership function. We then use a hierarchical generalized linear model to validate our multilevel model. The results indicate that the spatial factors have a significant relationship with illegal dumping, whereas the direct influence of temporal and community-level factors on illegal dumping is insignificant. Furthermore, the moderating effect of management level and public order on the relationship between spatial features and illegal dumping is significant. Based on our results, we offer several suggestions for preventing illegal dumping. 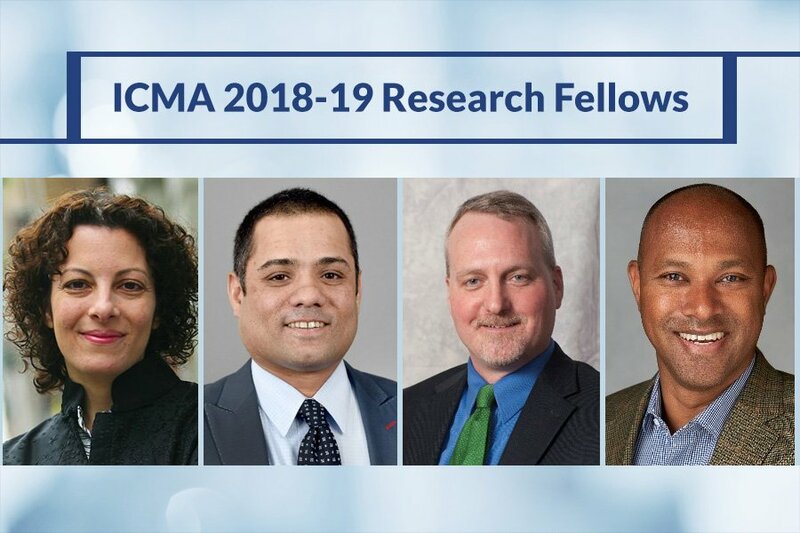 ICMA Press Release (October 23, 2018) - "ICMA has selected its inaugural group of research fellows, recognizing outstanding action-oriented research approaches to deal with local governments’ most pressing issues. Fellowships will fund four thought leaders to study topics ranging from equity measures for managing urban performance to developing successful innovation training programs for local officials, adding to ICMA’s vast knowledge base of research and leading practices in local government leadership and management. " To read the full press release is available here. I will be spending two weeks in China at Shanghai Jiao Tong University. During my visit, I will create research partnerships with colleagues in academia, industry, and the public sector. I will deliver two public lectures during my visit. 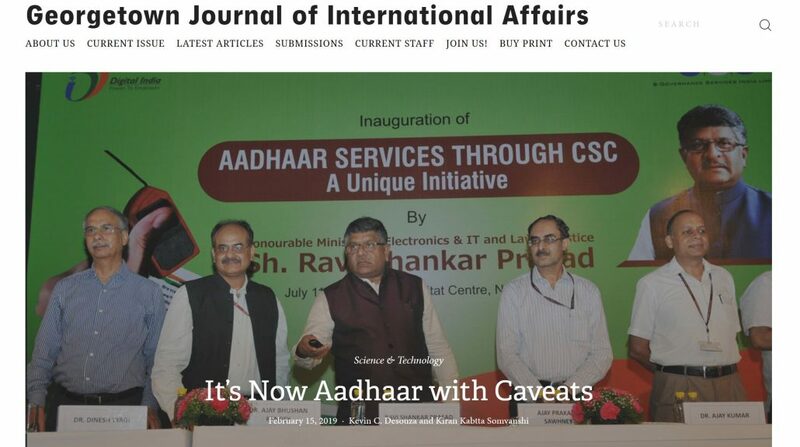 Emerging technologies are fundamentally impacting and transforming all aspects of our society. I am particularly concerned with how technological innovations impact 1) the design of our public institutions, 2) the apparatuses through which we shape, implement, and evaluate public policies, and 3) our governance frameworks for public goods. All indications suggest that we are moving toward a world where autonomous systems will dictate how we interface and interact with other agents and objects in our society. We can take advantage of emerging technologies to make our societies more livable, just, resilient, and sustainable. To realize this future, we need active and sustained engagement by scholars across a myriad of disciplines, especially public policy and management. Public policy and governance scholars have largely been absent when it comes to engineering efforts related to the design and deployment of autonomous systems and policy debates that will shape their impact on our society. In this talk, I will outline why we need active engagement by public policy and management scholars during phases of autonomous systems development and implementation. Examples will be drawn from over a dozen research engagements that have studied emerging technologies in the public sector, from predictive analytic systems to blockchain, social media platforms, and machine learning algorithms. I will outline key governance dilemmas and policy challenges confronting public agencies as they try to keep up with the rapid pace of technological innovations. Emerging technologies are fundamentally impacting and transforming all aspects of our society. I am particularly concerned with how technological innovations impact 1) the design of our public institutions, 2) the apparatuses through which we shape, implement, and evaluate public policies, and 3) our governance frameworks for public goods. All indications suggest that we are moving toward a world where autonomous systems will dictate how we interface and interact with other agents and objects in our society. We can take advantage of emerging technologies to make our societies more livable, just, resilient, and sustainable. We need bold imagination and action to shape the future we want. This talk will outline how the public sector can take a leadership role in the design, development, and deployment of autonomous systems. The October 27th take place as part of the 2018 Global Cities Forum. I have accepted a three year appointment as a Distinguished Nonresident Research Fellow at the China Institute for Urban Governance (CIUG) at Shanghai Jiao Tong University (SJTU). I am looking forward to working with colleagues at SJTU to launch new research endeavors that advance urban innovation. (October, 2016) Story in ChinaDaily.com on the creation of CIUG.